Charlotte has been Catholic since childhood, but has struggled with exercise for almost as long. She recently finished her PhD in Early Modern History, focusing on Renaissance Venice. She even lived in Venice, Italy for one year in graduate school and is therefore officially allowed to be an Italian food snob. Charlotte and her husband, a mathematician, met at the beginning of graduate school and have been married for three years. They have a two-year-old who helps them stay active when they don’t feel like it. She also enjoys reading novels, trying new board games, and playing classical guitar. You can connect with Charlotte on Instagram. Sarah is a cradle Catholic, certified athletic trainer, and proud Purdue alum. During her time at Purdue, she ran her first 5k with a friend and got hooked on running. 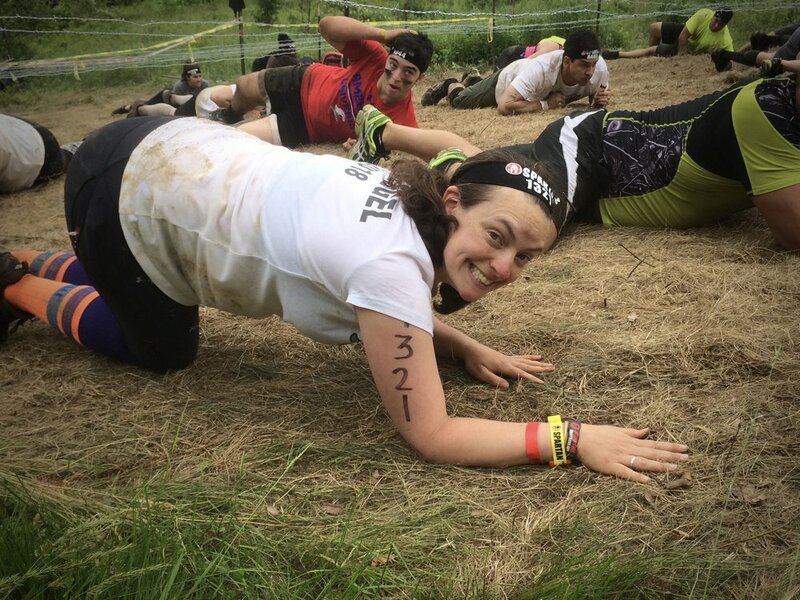 She currently lives near Louisville and enjoys the variety of road races in the Kentuckiana area, her favorite being the Urban Bourbon Half Marathon (hello, free bourbon!). 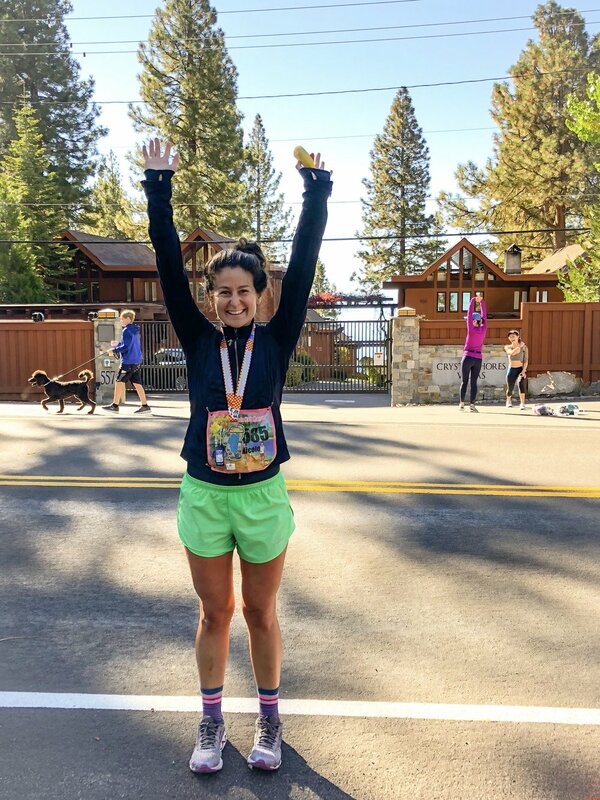 When she isn’t busy covering high school games or training for her next race, she teaches the confirmation class at her church and adds new adventures to her to-do list. 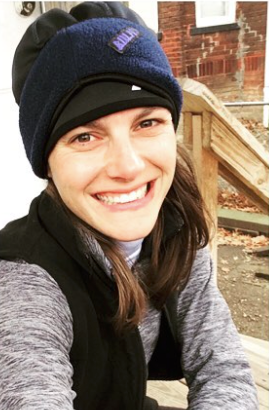 Kristin LaBruzzo (or better known as Kritter) is a cradle Catholic, wife, mom, runner, sweet potato and ranch advocate, sports lover, ocean swimmer and secretly introverted lady who is obsessed with all things athleisure. She graduated from Franciscan University and taught special education high school students for a year before being promoted to stay at home mom. Now with a second child on the way, she oftentimes finds herself escaping into the pages of a good book, pounding the pavements for some alone time, or standing in the sweet grace of the Eucharist in adoration. Oh and of course binge watching some Netflix or busting out a board game with her husband. She is eagerly awaiting the birth of this next child so her running shoes can once again be set free to roam the streets and shoreline of Ventura, CA with just a small babe in tow. What a beautiful life this is, making our way back Home. You can connect with Kritter on Instagram here or read her blog here. Susana Starbuck is a wife, mother, and swim coach/instructor living in Phoenix Arizona. When not at the pool coaching and teaching, she enjoys running, cooking healthy meals, reading books worth losing sleep over, and sipping a glass of wine in the evenings.